Server console returns multiple "code 400, message Bad HTTP/0.9 request type ('<?xml')"
After about 15 seconds Plastic shows error message: "Test connection failed. Please review entered values. Server committed a protocol violation. 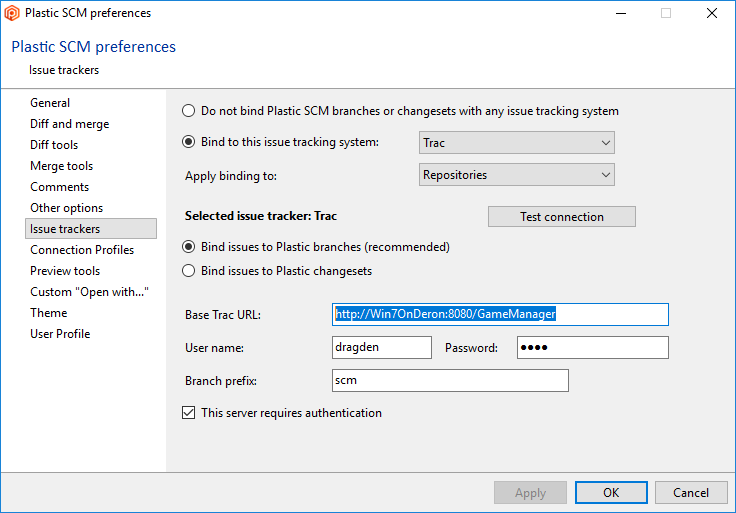 Section=ResponseStatusLine"
I've included a screenshot of Plastic settings concerning issue tracker integration. URL is reachable if I put it into browser, and I can login into Trac using the username and password I provided in this window. Considering that all instructions I found on the Internet are more than five years old, is the compatibility with Trac still maintained? If so, can you please help me resolve this problem? Hi, sorry for the delay, there may be a compatibility issue with the last Trac version. We will run some tests to try to debug the issue. I've been having some issues to run the last Trac version for Windows. Are you using the Bitnami installer? Anyway, checking your error, the plugin may not be compatible with the last Trac version. However, while trying that, I've discovered something interesting. If I start Trac server and then try to press Test Connection in Plastic, it won't even be able to connect to Trac (no messages in Trac server console), and will give Timeout error after about a minute. 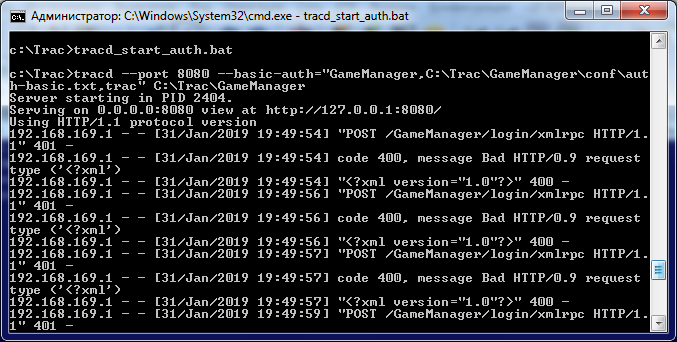 However, if I visit Trac server url with my browser first, and then press Test Connection - only then will those errors in Trac console start appearing.